Our personalised skin treatment targets, acne, clogging and redness. Everyone’s skin requires personalised attention. Purely focusing on safely peeling your skin back our 45 min treatment specifically treats Acne scarring, clogged pores, sun damage and mature skin. This facial stimulates cellular renewal and eliminates dead skin cells as well as hydrating and regulating the skins PH balance, giving a brighter, more even complexion. Camphor Synergy is used to massage and regulate the surplus of sebum, detoxifies, minimises pores and oxygenates the skin. Dead skin cells are eliminated, impurities and blackheads are removed and skin cell renewal is stimulated. This treatment helps to prevent breakouts and has an excellent healing effect. Skin is soothed due to the anti-inflammatory qualities which also work to balance collagen production, restore vein walls and elasticity. Pores are tightened and small wrinkles disappear resulting in a youthful, smooth and clear complexion. 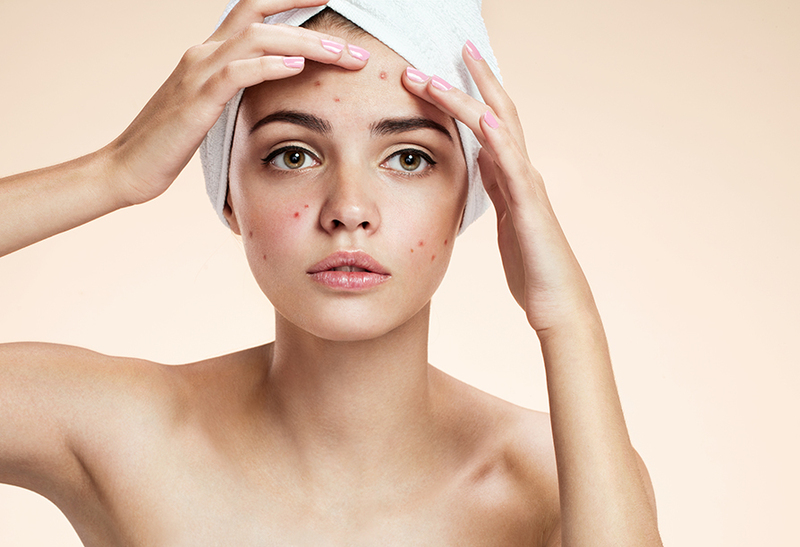 Our High Frequency Treatment is used to help eliminate and prevent acne, shrink enlarged pores and to reduce the appearance of fine lines and wrinkles. It also kick-starts the skins natural rejuvenation process. The oxygenating power of the electrical current has been proven to enhance blood circulation, increase collagen and elastin production, eliminate toxins and acne-causing bacteria, encourage lymphatic drainage, exfoliate dead skin cells and improve skin care. The application of high frequency current also promotes a cleansing antibacterial action that help prevent the onset of acne. The skin is left feeling instantly energised, rosy, firm, refreshed and noticeably softer – even after just one treatment. For Sensitive, Dermatitis, Rosacea, Psoriasis and Delicate skin. Our nurturing treatments help put back the balance to a reactive skin. Containing vitamins A,C,K and B coupled with omega 3 and 6 we are able to help soothe and strengthen, preventing and treating redness, broken capillaries, giving you a plumper, hydrated and repaired skin.